If you’re tired of the average-shaped motorcycle helmet, then change is in store. 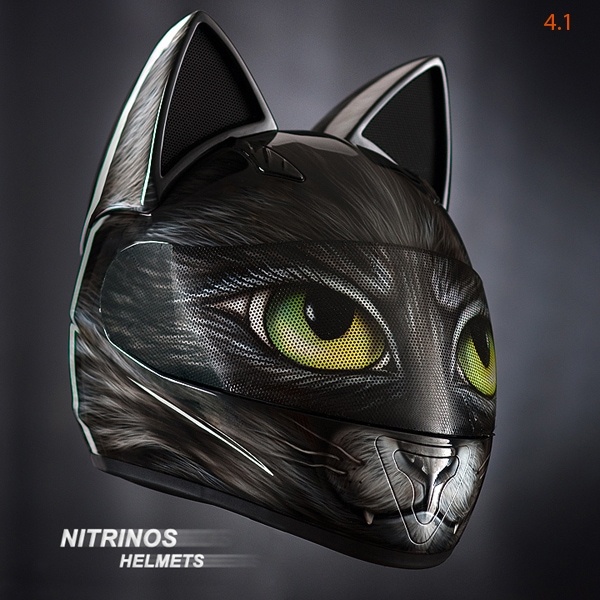 The Neko-helmet, manufactured by Nitrinos motostudio, channels your inner cat lover and comes complete with fiberglass cat ears. The helmet is available in four different styles. All of the styles incorporate the cat ears, but vary in terms of the helmet’s coloring. If you have an existing outfit, a designer can create a helmet design to match your outfit. True cat lovers will love the fourth option helmet, which can be created to fully resemble a cat’s head. And if you’re worried about safety, rest assured that while the ears are firmly attached to the helmet, they disintegrate upon impact in an accident. 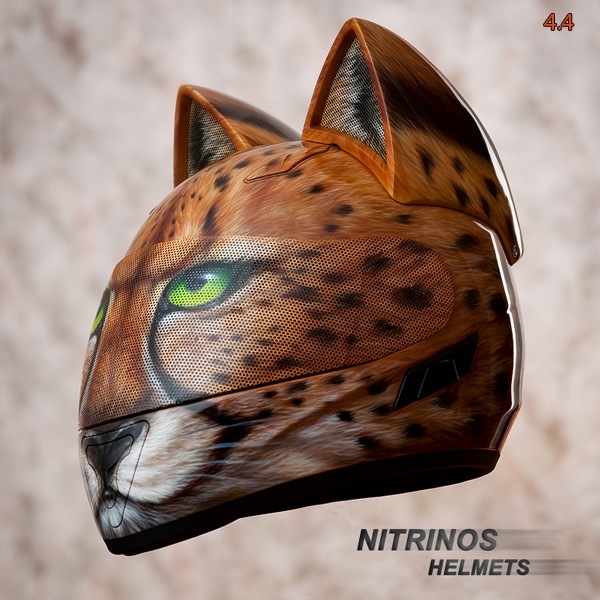 Neko-helmets can be made to order. If you have a special cat in your life, you could have a helmet created to look just like that cat. And you can guarantee that when you hop on your motorcycle with your helmet, you’ll be sure to turn a lot of heads. Helmets are made within three weeks and are shipped worldwide. If your love of cats is matched only by your love of motorcycles, the Neko-helmet can be the perfect way to combine the two. Be sure to check out the Nitrinos motostudio website for more information.